The garden is complex and covers almost 14 acres, which includes a large lake, extensive shrubberies and flower gardens, an orchard of historically significant fruit varieties, a fernery, rose gardens and many other features of historical, landscape and architectural interest, all forming the setting for the polychrome brick mansion completed in 1868. The garden is tended by a Head Gardener, staff of five gardeners and a team of volunteers. 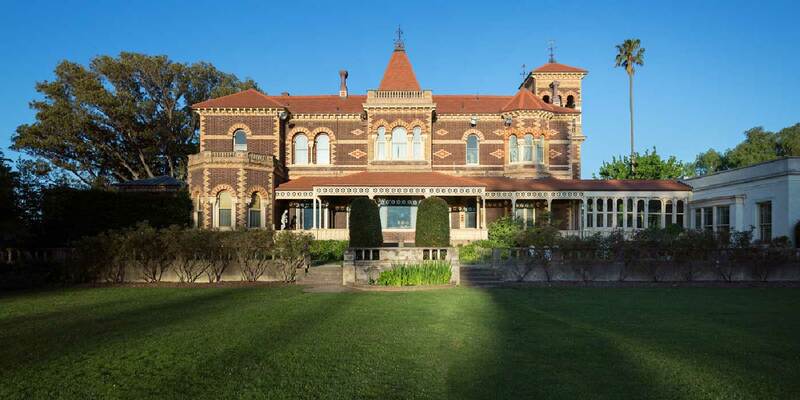 This building is constructed of brown brick with rendered copings and finials and has a roof of flat clay tiles. 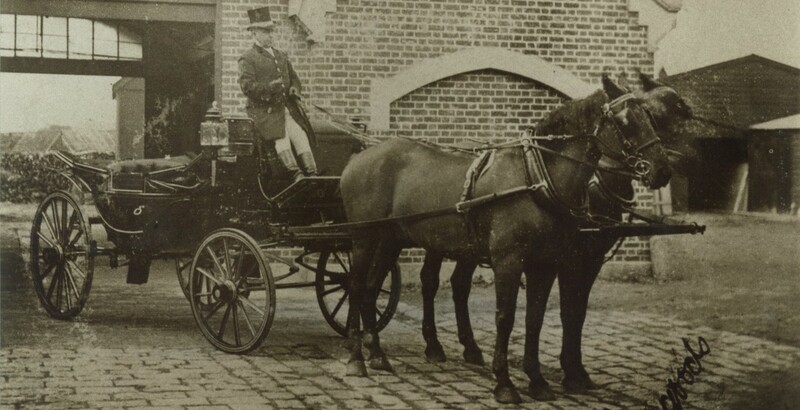 The complex retains many of its original features, including the stables (complete with stalls, fittings and blackwood lining), the harness room, feed room, loft, mens’ room and two carriage stores with inset floor wheel guides. The original laundry and buggy store have been converted to more modern use. This features a range of early fruit varieties. The original, larger orchard was situated in what is now Gordon and Elizabeth Streets. The current windmill represents one that was a part of an elaborate irrigation system established during Frederick Sargood’s ownership. Interconnected tanks, pumps and pipes collected water from suburban Caulfield, leading to a large windmill that pumped water throughout the garden. 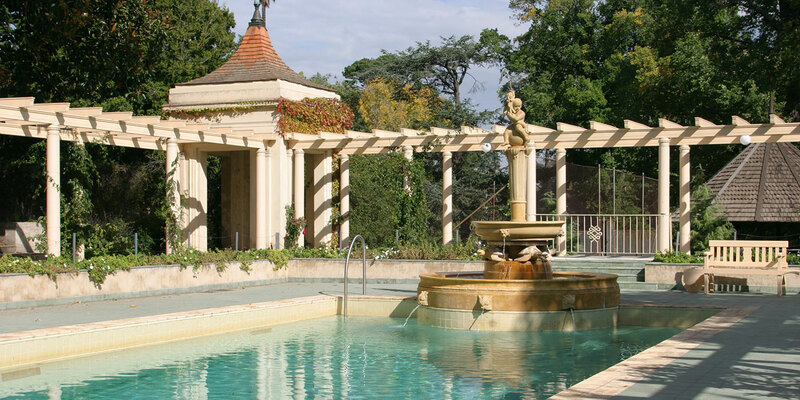 Much of the original system is still used today, providing 80 percent of the water for the gardens. 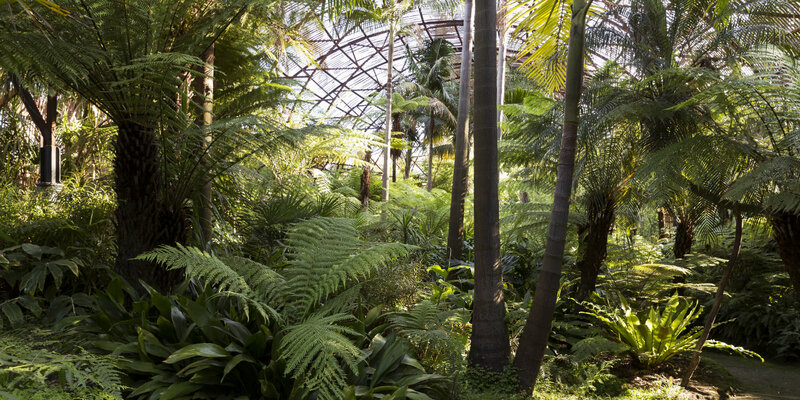 Even on a hot summer day it is a cooling experience to walk through the fernery. It features meandering paths, trickling streams and hundreds of species of ferns and palms, from native to rare and unusual varieties. Built in the 1870s, when ferns were the height of fashion, almost every Victorian home featured ferns in some form. 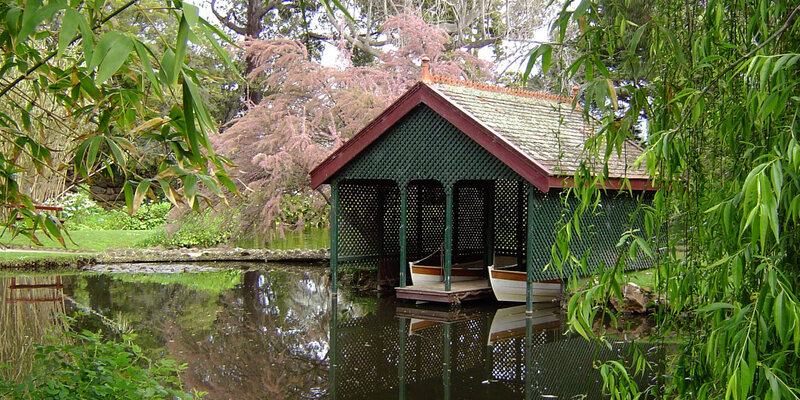 At that time, larger ferneries were developed in the Geelong and Ballarat Botanic Gardens. Many of examples have fallen into disrepair or disappeared entirely. Frederick Sargood began hosting archery meetings in the 1870s and constructed a purpose built archery hut close to the range. 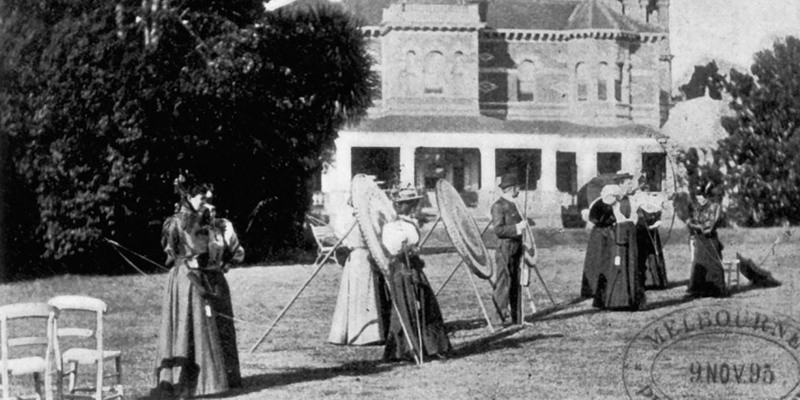 Archery was one of the most popular sports played at Rippon Lea, particularly so among female guests, who could compete in tournaments on the lawn without requiring a change of dress, which was necessary for croquet or tennis. Sweeping lawns fringed with borders of annuals, herbaceous perennials and shrubs can be viewed from the elevated terrace which runs along the western side of the mansion. From the terrace you enter the swimming pool complex, complete with diving board, fountain and change rooms. Both of these areas were developed in the late 1930s and today the ‘Hollywood setting’ demonstrates the lavishness of the period. The pergola supports various climbing plants, including varieties of ivy and pillar roses. 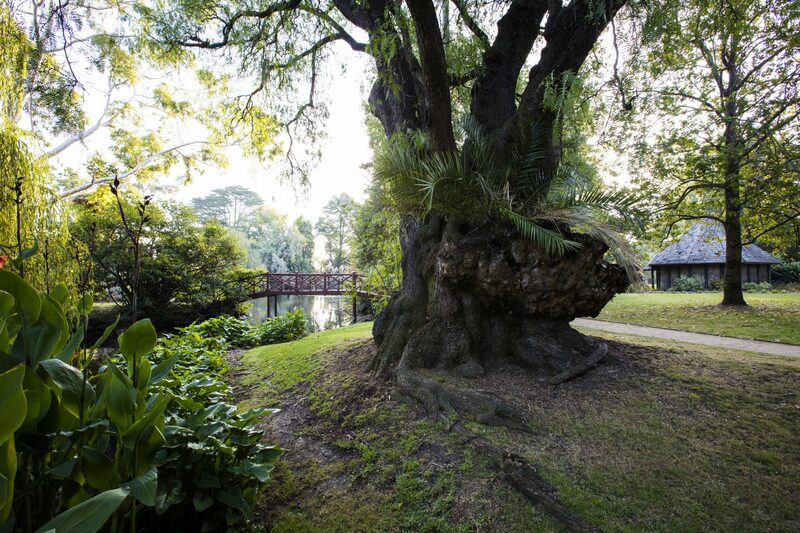 Featuring examples of elms, oaks, Moreton Bay Figs and Monterey cypresses, the Western lawn demonstrates Rippon Lea’s age by the great size of its many trees. 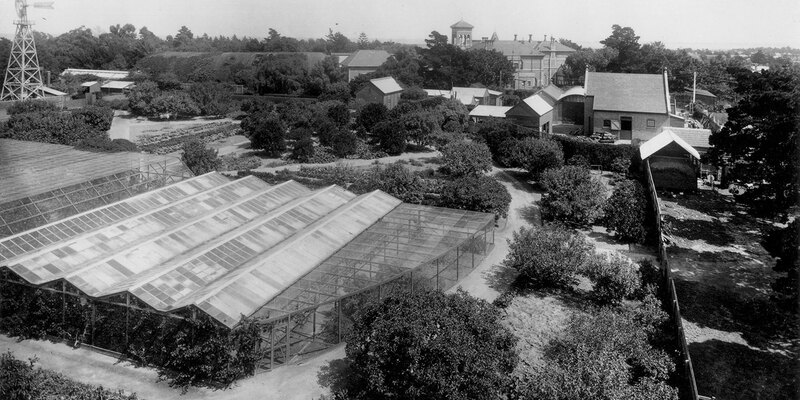 Early photographs show the retention and integration of indigenous trees in parts of the original garden. The stumps of those remnants still remain today, offering a priceless context for the trees that have followed. The western perimeter of the garden provides a leafy back-drop to the beautiful stretch of lawn up to the house. The original lake was excavated in the 1870s. It was smaller but included exotic plants and two islands. In the 1880s it was enlarged to a depth of 114cm, and incorporated five water jets concealed in rocks, a grotto and mound featuring a tower. The lake is populated with black duck, chestnut teal, grey teal, moor hen and hoary headed grebe. The water also supports eel, carp, and tortoises. A wide variety of plants nestle along its banks. One of the islands on the lake features a boat house. It serves as a reminder of a more leisurely age, when family boating on the lake was a feature of the property. From here you can see the lookout tower high above the grotto and waterfall. In 1903 new bridges across the lake were fabricated in cast iron to look like rustic timber bridges fashioned from trees. Similar featured bridges were installed at the Melbourne Botanic gardens. 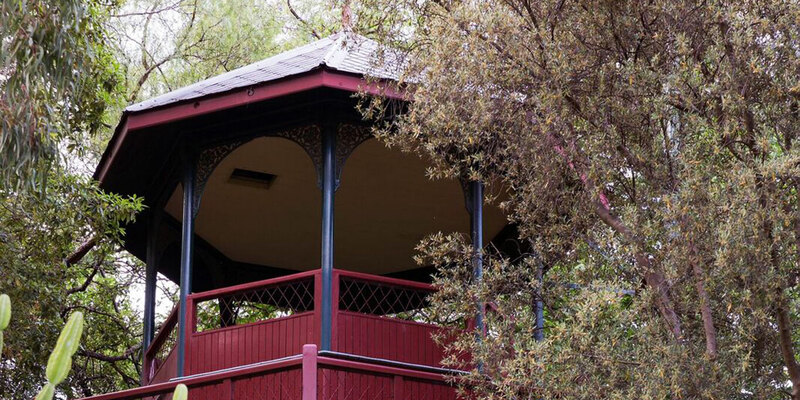 On the highest point overlooking the lake a most elaborate lookout tower was constructed, probably in the late 1870s. It provided a vantage point for the property, and also views as far as Port Philip Bay. After falling into disrepair, the tower was restored in 1980. Today it is once again open to visitors and is a focal point in the garden. 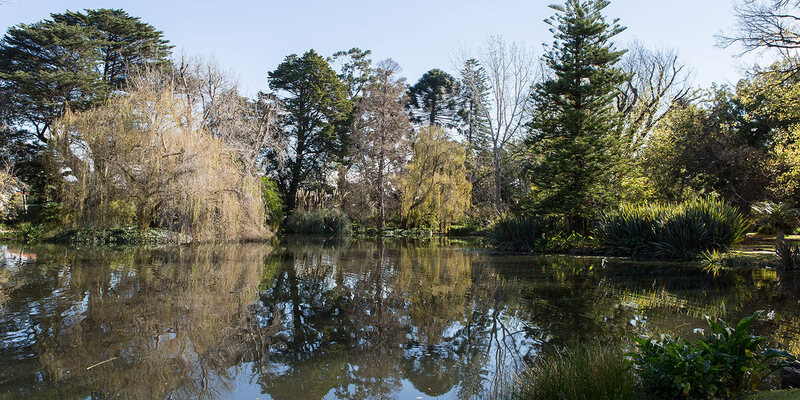 From here much of the garden, lake, and other key features of Rippon Lea can be seen. Take a 3D virtual tour of the Gardens on Google Maps.